19%. Meh. I know why it’s low, though. There were some grumblings in the household that we run out of food too fast. I beg to differ! We always have food; it’s just that the best food gets eaten quickly. To my mind, if we are coasting into Monday morning on fumes, then I have done my job, which is to buy just enough food for the current week, plus certain stockpile items. Too much food on hand = waste. But I have to keep the household happy too. So at the last minute, before I clicked “submit” on my ShopRite order, I asked my husband if there was anything particular he wanted, and added his items, no questions asked. I also got a few special, not-on-sale things for myself. So I ended up spending $192.77, and saving $46.16. 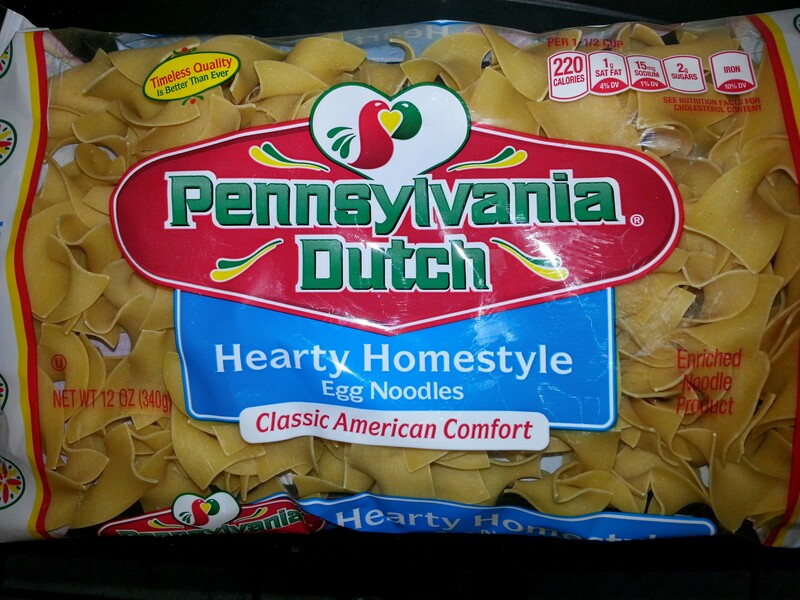 Best deals: A FREE package of Pennsylvania Dutch egg noodles, and 64 oz of Minute Maid orange juice for $.99. As I mentioned, I have revived my budget system, so the most important thing from now on is going to be if we can get the groceries we need/want and stay under budget for the month. Wrapping up March, it looks like we will be $15 over an $800 grocery budget. More on the thrilling conclusion of the March budget to come later.